Strong, lightweight rails and aluminum hinge connectors offer maximum performance in high traffic areas. Incorporates into carpet, tile or surrounding floor finishes. 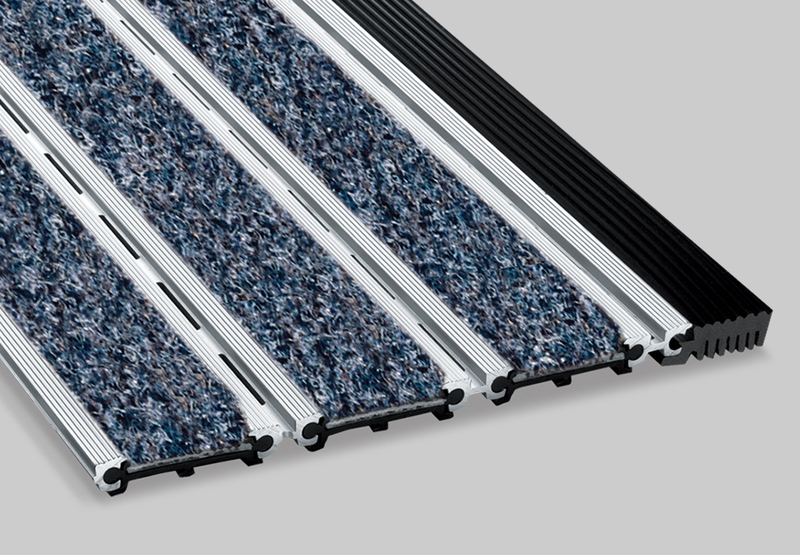 Industry standard for architectural tread rail mats where the removal of dirt, snow and water is essential. Sound absorbing cushions reduce noise.